It’s hard to believe that NewscastStudio is ten today! I never would have known that a little website started on a whim would have such a profound effect on my life. It was April 2003. I was a freshman in college and looking for something to do. I decided to start such a site and the name “SetStudio” popped in to my head. I liked the alliteration of the name as well as its use of the word “studio” — which alluded to both the actual rooms sets are placed in but also the creative aspects of set design. The domain setstudio.com was registered April 9, 2003 and over that weekend, I quickly designed a logo and website and, six days later, SetStudio was officially online. Things started out slowly. The site originally only had a small collection of photos and didn’t register much traffic. But then people started to take notice. The site’s traffic grew steadily and people started submitting photos. Back then, SetStudio was, I’m somewhat ashamed to admit, built using Microsoft FrontPage, as well as a good dose of hand edited HTML. Back then, I would hand insert comments users emailed to me and manually create thumbnails of each photo. As SetStudio continued to grow, it also attracted the attention of scenic design companies and began accepting advertisers. The photo collection kept growing at an impressive rate. In between all this, I graduated from college and got a chance to work for a scenic design firm for a few years, an opportunity that wouldn’t have been possible had it not been for SetStudio. In 2008, SetStudio changed its name, becoming NewscastStudio. 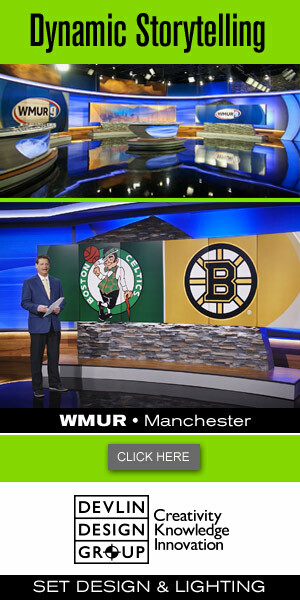 The name change reflected a new commitment to covering all aspects of television news creative services — not just sets. Along with the new name, the familiar SetStudio green was dropped in favor of a rich red. The site was overhauled and, while many pages were still maintained using static HTML, the site’s news postings, photo galleries and commenting systems were upgraded a bit, making it easier to post photos and approve comments, two tasks that had become extremely labor intensive and often led to the site not being updated as frequently as it should. It was around this time that Dak Dillon joined NewscastStudio as editor. Dak’s contributions to NewscastStudio have been amazing and the site simply wouldn’t be what it is today without his work. Dak now owns part of NewscastStudio and has helped build it into a lucrative media property that delivers over two million page views a year and attracts a slew of the industry’s biggest names as advertisers. As NewscastStudio’s reputation has grown over the years, we’ve had the privilege of taking VIP behind the scenes studio tours of MSNBC and CNBC to gather photos for the site, interviewing former NBC News executive Sam Mandragona and even getting to try out some of the newest TV news presentation wizardry such as a Wii remote powered traffic system.